Time and Space are properties of our Universe. It makes sense that the smaller sub-plank length objects would not be large enough to develop both time and space. And you can go even a step further to explain the creation of our Universe. If the Universe came into existence from a sub-plank length object, it could in theory have limitless mass or energy or in simple terms a Universe full of mass and energy without violating any of our current physical laws. If spacetime does not exist below the Planck length and Planck time thresholds, that in itself shows that the universe is finite, although that’s not the only thing that can show that the universe is finite. So, in that case, whatever happened to infinity? And, that begs the question, what is non-existence?! At any rate, how can one prove that spacetime does not exist below the Planck length and Planck time thresholds, especially that science has not yet proven that the universe is indeed made of individual quanta? !—I understand that the article addresses at the end that we have no possible way of measuring beyond the Planck length and Planck time thresholds, but it remains the question. Also, even if the universe is made of individual quanta and there is nothing below the Planck length and Planck time thresholds to stop information from escaping black holes, what is information made of? Actually, it proves the Universe is infinite. Let’s suppose I create a sub-plank length particle. Time has no bearing on it. It could exist before the Universe was created, after the Universe’s demise, and still come back to disappear before my very eyes. And if there are a lot of these particles around, then it’s only a matter of time before we eventually will be able to at least measure their effects on matter or energy. One would presume, the same individual quanta. Actually you can be both be right. Not sure why here the author states this here. Hmmm, so the hypothesis seems to rest on zeno’s Dichotomy paradox that since you can’t have a truly analog universe and its discrete ( because a faraway observer sees a crossing of the horizon in finite time, which doesn’t make sense because its argued that one cannot measure exactly where the horizon is ) that therefore you cannot have an event horizon because it breaks down between the discrete points and not exactly at them? So asymptotic time isn’t possible because it can’t be measured with certainty (discretely)? Why does anyone accept the THEORY of black holes at all. They require the breakdown of the laws of chemistry and physics. They have never been observed and defy confirmation. Infinite mass and density, please. They are simply mathematical CREATIONS to rectify the problems with gravity based theories of cosmology. Once a different viewpoint is taken the field of cosmology can return to being a science ( not science fiction). That means making observations and THEN doing the math. That means experimentally proving one’s theories. And when the data doesn’t fit the theory, consider scraping it (not inventing one fantastic concept after another to keep it alive). Because gravity is so weak we have black holes, neutron stars, dark matter/energy and the latest beauty, accretion discs. When will it stop??? All of these creations require the laws of chemistry and physics to be abandoned. How absurd. Gravity is 10 to the MINUS 39th as powerful as electromagnetic force. That is essentially zero. Maybe it’s time to consider electromagnetic forces as the driving force for the formation of ALL matter, including planets, stars and galaxies. NASA has measured fantastic magnetic fields in space. And we all know you need electric current to produce a magnetic field. Plasma physicists have had a field day with the latest radio telescope data. Large interstellar and intergalactic Birkeland currents have been identified. Plasma may make up 95% of all the matter in space. It is very possible that “black holes” are really dense plasmoids. Magnetic fields and high energy radiation may account for “dark energy”. The “primer fields” is a six part presentation that shows convincing evidence for the formation of all matter through electromagnetism. The observed galaxies and nebula seem to fit this model. This approach deserves serious investigation. If it is incorrect then prove it. At least this is a theory that can investigated!!! There are some simple solutions to the structure of the universe. My bet is that plasma physicists will be the first to define them. The word “theory” in scientific circles is MUCH more hefty in it’s meaning than in lay circles. In other words, it’s not relegated there-in with likes likes of, “Hey guys, I just came up with a theory as to why blondes are stupid”… Your use of it here and in that context to obviously demean it shows just how little you actually understand about the very basics of scientific principle. This concept is taught in 1st year high school science… That explains why you fall for and rant on and on and on about electric universe crap that was explored and abandoned back in the 60’s per it’s mathematically obvious and absolute incorrectness. Your challenge to “investigate” it above illustrates that you haven’t even studied the genesis of your own contention enough to already know this. Sure the Standard Model doesn’t encompass everything at this point, but no matter how much you and your ilk claim there is no proof whatsoever behind it, that’s just basically untrue and it holds MUCH more water than your sieve of a theory. I have argued to you before that gravity is MUCH stronger than electromagnetism at great distances which is why believing that electromagnetism and plasma drives the mechanism of the cosmos is absurd and you ignore that simple and irrefutable point over and over. Give it a rest. No matter how important, thinking that you know more about the workings of the universe than the thousands, nay TENS of thousands of the best minds in the past century makes you feel…. you’re simple wrong, provably so and need to stop barking here about it like some spastic. PS: The effects of Black Holes HAVE been observed such as the orbits of the innermost stars in the Milky Way for instance and their motions integrate almost perfectly with the math that predicts the central object’s existence and mass… Stop ignoring Standard Model proofs as you claim others ignore the potential of EM/Plasma, which again, HAS been explored and found incorrect. Hysterical……still clinging to these lifeless mathematical theories in the face overwhelming evidence to the contrary. 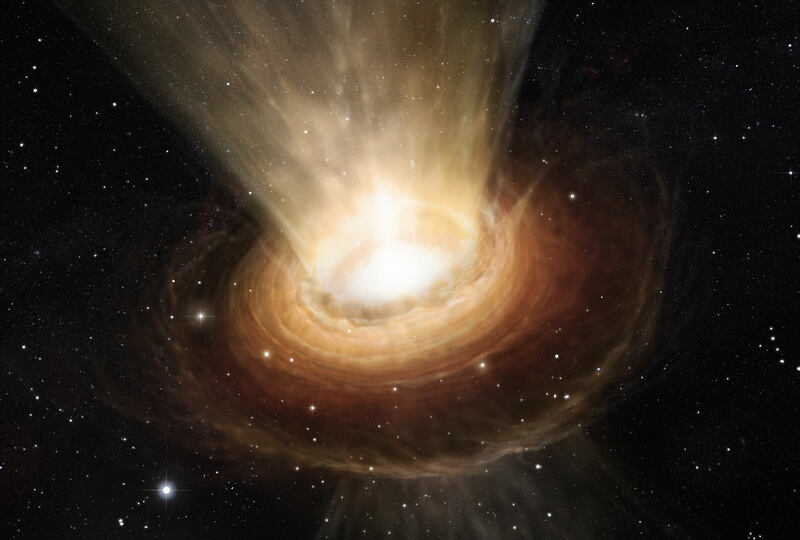 Have you seen the mathematics that prove black holes and the big bang are mutually exclusive? Nothing was proven or disproven ” back in the 60’s”. The newest radio telescope data is validating the electric model for cosmology daily. Gravity stronger than electromagnetism?? You really need to brush up on your physics my friend. Gravity is a remnant of the ashes of powerful electromagnetic events. The newest data from the Planck radio telescope just published showed a map of the milky way galaxy. Surprise! They found MASSIVE electrical currents running through the galaxy and their accompanying galactic magnetic fields. This is exactly what was predicted by the electric models of cosmology. Every days the electric models are receiving validation from the newest data while the standard models keep getting weirder and weirder. The universe has become an awfully strange place if one believes current gravity based theories. But that is what happens when one unproven theory is used as the basis for the next unproven theory and so on. All that is required to support current “established ” theories is that the laws of physics and chemistry break down when necessary for each invention. With the remarkable experimental support in the lab by plasma physicists and validating observations from the latest radio telescope observations, the electric model of the universe promises to return cosmology to science. It’s current state is pure science fiction. Why would I want a PhD? I have an MD. the vast majority of readers probably read his post, thought perhaps that it was mildly interesting, dismissed it, and moved on. you’re just giving him fuel for future rants and we can all look forward to more of them now. ^^ wasn’t censored. requested deletion. Have you seen the newest radio telescope data from the Planck satellite? They mapped the Milky Way galaxy. Lo and behold, they found massive electrical currents and their accompanying magnetic fields running through the heart of the galaxy. Don’t look now but the electric model of cosmology just received some serious validation. These findings are exactly what Thornhill and his colleagues predicted in their electric model of the universe. Every cosmologist on the planet should be required to reexamine these theories. They are finding strong experimental support in the lab by plasma physicists and new observational data is confirming them as well. And who is the one that said Comets are made of Plasma? Can anyone above 5 years of age actually believe that? …….. I said that comets are solid rock, not dirty snowballs. They are electrical bodies and have the accompanying magnetic fields. Their interaction with charged particles from the sun accounts for all observations in the recent comet missions. Read my comment again and then try and address the real issue: the failure of gravity based theories of cosmology and the ongoing validation of the electric universe models as new data arrives from plasma physicists and satellite based radio telescopes. If you have trouble understanding it then spend some time in the library and catch up. Name calling and derisive comments are the last resort of desperate people. The Deep Impact projectile that struck Tempel 1 showed conclusively that the comet contained large amounts of water ice; something like a third by weight, which is about a half by volume given the difference in density between ice and rock. The comet is certainly not made of solid rock. Comets hold water, which is more than I can say for the EU concept. EU theorists were predicting a small crater based on the idea that Tempel 1 is solid rock, and that prediction was wrong. The crater was about as big as expected for a rock/ice mix. EU proponents also predicted a lot of other things, like the impactor gaining its own tiny coma and shorting out due to electrical discharges (bizarre! ), multiple craters, no detectable difference in surface and interior compositions, a lightning-like spike in X-rays, and a new cometary jet. None of those things happened. EU theorists made many testable predictions regarding the Tempel 1 impact and all of them failed. The EU idea is pure pseudoscientific bunkum, and it does not work as an explanation of astrophysical phenomena. The authors have not shown that there is no causally disconnected region in this spacetime. They have merely shown that the boundary is fuzzy. This is nothing new, and widely assumed to be the case. This has no relevance for the black hole information loss problem whatsoever. Besides this, it is wrong to say that space-time is discrete in these models. It is unfortunately a very common confusion. That there is a limit to the resolution of structures does not mean that the structures must be discrete. The example I like to give in my talk is if you’re shortsighted, take off your glasses. You then have an obvious limit to how well you can resolve structures, but that doesn’t mean you see anything discrete. The idea that plasma and electromagnetism exists throughout the galaxy proves the scientific theory beyond if things get hot they produce plasma and an electrical current moving around metals produces magnetism is preposterous. There are still way too many variables in play to prove that either of these two phenomenon even begin to be the building blocks of the Universe. It’s more likely because we have a Universe that these two phenomenons exist and that the Standard Model (while it could be incomplete) is the building blocks of the Universe. With all the comments and attention on the nature of space, Planck Time and Planck Units, the speed of light, quanta and all the rest, has anyone not noticed that this is Zeno’s Paradox, merely restated in cosmological jargon? Or did I miss something? Which of Zeno’s Paradox’s do you refer to? He has several. All of which have modern answers which disprove his paradox’s. Ok, I see the Dichotomy Paradox as a potential problem. But let’s look at this slightly differently. I have two runners. They both can run at the same speed. And they both can run in separate lanes. One races to a wall while the other races to the finish line (that happens to be the same distance as the wall). Runner A has to cut the distance in half nearly an infinite amount of times before reaching the wall. Runner B only has to cross the finish line. Which runner finishes the race first? See the problem? It’s not about cutting the distance in half to reach the end. It about the speed they are traveling. Both runners will finish the race at the same time albeit runner A will have some bruises. The paradox only makes sense if speed though each half was based on time and not velocity. If it took one second to cut the distance in half, the runner A would never have reached the wall. You have to make sure all reference points are kept on a reasonable scale to avoid the paradox. Rainbow Gravity doesn’t. Zeno’s Dichotomy Paradox seems to be the reason why this article’s ( well actually the paper’s author’s ) reasoning that black holes’ event horizens don’t exist and IMHO is a big hole ( pun intended ) in his theory’s logic makes me want to discard it because he seems to say since it can’t be certainly measured ( or maybe more specifically to do/try so is meaningless ) thus its meaningless. I have problems with some of the statements, claims, and explanations contained in the article, but I agree the Big Bang (BB) theory seems to have produced an excess of ideas that seem logically inconsistent and self-contradictory. I think time cannot be divided into scale sizes because to me, time is a property of matter that accrues to it at rates that pass inversely proportional to the speed of any discrete matter object. It doe not accrue to non-matter objects like massless quantum particles. We do not yet know if gravitons exist, let alone if they have mass. I would guess no, because if they did, they would be easy to find. Note that matter is comprised of mass and energy. Thus, any mass having no energy is not matter, and energy sans mass is not matter, either. If that is wrong, please correct me. Gravitation is, like time, a force imposed on matter, and thus affects its speed, and in so doing, it affects the rate of the passage of time accruing to that discrete matter. It does not appear that gravitation affects anything other than matter. That is important because matter did not come into existence until long after the BB, making it seem then that both time and gravity did not come of the BB, and likely not until after the FTL-speed universal expansion, How many have not yet realized the obvious? We may infer that when matter formed, the universe continued the FTL expansion rate, but matter at that time began to slow the expansion somewhat, yet not enough to keep it at FTL speed. Without matter, it is likely the expansion would have gone on forever at FTL speeds. Yet, it is currently expanding still, and at an increasing rate, perhaps the same as it would have if matter had not been created. It is wrong 😉 Energy has mass, mass is energy. They are literally the same thing, this is what E=mc² means. The heat radiated from a fire carries an amount of mass away with it, even though it’s vanishingly small. The photon has no rest mass, but the photon is never at rest. First, expansion is not a “speed”, nothing moves. Space is being ‘added’ in between stuff, that makes a lot of difference. Second, any expansion in a large enough universe, even very ‘slow’, is ‘FTL’ if you consider points distant enough. There is no qualitative difference in this regard between inflation and current expansion. 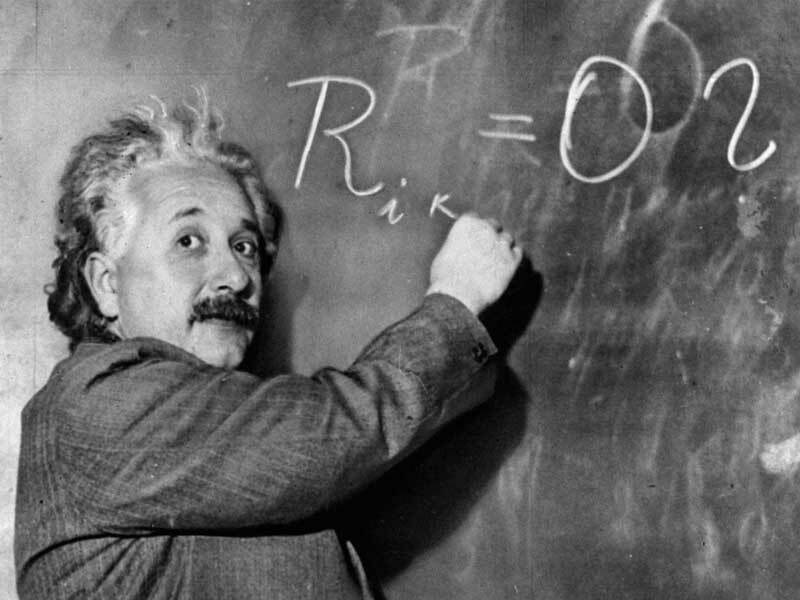 IMO, Einstein’s equation (I understand he “borrowed it”) is in reference to matter. It could be the equation reads, (Energy)=(mass)x(light speed), but that does not compute. When a mass has energy, it is matter. The mass in E=mc2 has E, therefore the m is in reference to MATTER! It is not saying matter moves at c or c2. It can only be translated as saying, “To determine the amount of energy in a given amount of mass, multiply the mass amount by c2. A mass with no energy is a -mass, like a positron. Thus, the mass in the equation has E, or the equation does not work. The mass radiated in a fire is matter in a changed state. We cannot burn an energy-less mass – can’t even see it. I referred to the expansion of the universe, seen as “space expanding at an increasing rate of speed.” As space expands, whatever is in it must move farther apart. It seems to me the current expansion is not FTL, so far as matter is involved, but it may be that space is doing that. I don’t know. Correct. What this means is that mass and energy are equivalent. Or again, the same thing. Look it up on wikipedia (Mass–energy equivalence). Correct. It is the energy equivalent to the rest-mass. There is no “mass with no energy”. There is no negative mass, the positron has the same rest-mass as the electron (experimental verification pending). Space is not “in” anything. Expansion, as well as curvature, are ‘intrinsic’. Again, consider two points (or galaxies) far apart enough, and it will be. Suppose an expansion rate of 1 m added every 100 light year, per second: a galaxy 30 billion l.y. away would appear to recede at c, any galaxy further than that would appear to recede faster than c, and thus would be invisible. This exactly the current situation, except figures. Moreover, whatever the expansion rate, ‘slow’ or ‘fast’, there is a distance limit below which expansion doesn’t appear ftl, and above which it does. This is related to the ‘cosmological horizon’ idea. I do nor disagree w/you or Wiki on mass-energy equivalence. It is equal to the rest mass, as you point out. You also agree there is no physical mass at rest. It is like 2+2=4. It is a math construct and there are no such things other than in our minds. There are no real masses at rest and 2s and 4s do not represent reality. Space-time does not exist either, although everyone thinks it does. Read anything with “space-time” in it and see it referred to as a physical reality. It too is a math construct. Why is that hard to understand? Because we are taught as if it exists. We know numbers and words are very useful to us, yet they are not real objects except to those who understand their meaning. It is immensely important to be able to distinguish between our mental constructions and physical realities of the universe. As far as saying there is no mass without energy, read Paul Dirac and George Gamow and argue with their ideas. I did not say space is in anything; you said that. You say too that particle pairs have the same mass. How do you know that, if antiparticles are transparent to us? I contend particle pairs do not annihilate, and I can offer an alternative explanation why. I think a complete understanding of Special Relativity, would provide leaps and bounds in understanding further details regarding the laws of physics. Most folk realize that according to Special Relativity, “absolute” motion can not be measured, nor can an “absolute” length be measured. Does this mean that absolutes do not exist? How can this be if an “absolute” minimum size exists for both space and time? On top of that, how can anyone absolutely understand Special Relativity, if there are certain absolutes that always sit beyond ones reach! But since Special Relativity is highly accepted in its current limited form, the absolute understanding of Special Relativity, is of no interest at all to the world. Special Relativity is therefore always presented in complex fragments, rather than it be exposed as a simplistic absolute whole. It seems we need to better understand what we’re talking about first. In physics, the term “absolute” requires a noun to complete the phrase. Absolute space, e.g., refers to empty space, i.e., space devoid of anything in it. Absolute motion refers to the motion of objects with respect to the universe. Some absolutes are not possible and others are called “ideal” absolutes because we cannot yet know if they are achievable or at all possible. You mentioned “absolute” as defined within physics. Well, I have no education in physics, and all of this was due to my parents having pulled me out of school before I had a chance to acquire any such an education. But despite the circumstance, I was still fascinated with “motion”, and I was at the same time fascinated as to why certain peculiarities, that I had noticed concerning motion, seemed not to have been noticed by others. Motion, as it is perceived by the eye, if fully explored, leads to a paradox. Anyhow, I eventually understood what was really taking place. I then created a simple geometric representation of this understanding, and I then proceeded onward to use this representation to convert my understandings into equations. The equations turned out to be identical to all of the SR equations. Again, all of this was accomplished simply by using nothing but the mind to analyze the idea of “absolute” motion ongoing within an “absolute” 4 dimensional Space-Time environment. Thus I started with absolutes, and ended up with Special Relativity, and did so entirely independently. This is also why my method of deriving the SR equations can be found nowhere else. However, I also have discovered that such an accomplishment is rewarded these days, with absolutely nothing good at all. So far(excluding this post), across the wide wide internet, I have been treated as though my intellectual value is far less than the value of dog poop. This ongoing total disrespect is extremely bizarre and mysterious. It is something that I have not yet managed to crack. Please believe me when I say I meant no disrespect. In the “old days,” such responses were called “flaming” and were posted by “trolls.” You may notice the ideas I have written about are very much contrary to those of “Modern Physics,” which made me a great target for such disrespect no less than you may have endured. I was fortunately able to obtain a BA through the GI Bill, but not in physics, Like you, I do this because I can. My point was that you were using the term without the specificity needed for readers to understand your meanings. It was difficult to stay focused on your ideas while stopping to figure out in which way you were using the term, since you used in different ways. I admire your mental capabilities. I think I could not have done what you have, as an education does not necessarily improve one’s talents. I appreciate your response and thank you for it. the photon once it breaches our universe would have to start obeying our laws else it’d get pulled over and get a speeding ticket 😉 else it wouldn’t really be a photon but a tachyon once breached. Imagine a massive particle’s breaching the universe now conserving previous extra c momentum and becoming an instant singularity -if it was a common ocurrance of such breaches I doubt the universe wouldn’t have allready collapsed by now or is in the process of it. Space is comprised of mass, most likely as individual antiparticles, or -masses (negative masses) that are transparent and permeable by all things with no effect except em waves. Those move through the antiparticle “sea” and in so doing, transform each one into +mass particles, As each em wave passes through a particle, its energy moves on with it, causing the particle to revert to a -mass again and to emit 2 photons, and as the em waves expand like balloons throughout space at light speed, the universe is illuminated for us at each em wave/-mass collision. I contend the theory of “particle annihilation” is fails in its premise that random “quantum fluctuations” cause antiparticles to suddenly appear in some unexplained and mysterious way to annihilate and create light. [paraphrased excerpt from my forthcoming Essay II – The Ether Found in No-Math Theoretical Physics. All Rights Reserved 2015]. I offer my own explanation herein in hopes it will survive your review of its premises. Excuse me if I’m being nit-picky here, but are you saying that all space is comprised of either -mass or +mass with no empty space ( or space w/o em waves? )? You’re not being nit-picky at all. Yes, but that was not my idea. Paul Dirac discovered what looked like holes in space (?? ), then later they became positron particles, which today are used daily for non-invasive medical “imagings” and a variety of other uses. Dirac proposed that what looked like holes-in-space are really electron particles with a positive (+) charge. He thought they are changed from the former into the latter whenever (e-)s lose all their energy and are transformed into (e+)s called positrons. Then I read an old Scientific American reprint by George Gamow reviewing Dirac’s work and agreeing with the idea of space being comprised of transparent masses that lost their energy and became essentially antiparticles. What? How did I miss that in school? I think it is not taught because no one picked up on the ramifications inferred by such discoveries. I worked on it for a long time and developed ideas beyond those and arrived at conclusions that necessarily cannot simply be dismissed. It is all in my ebook No-Math Theoretical Physics Essay I – The Time and Motion Relationship. The whole thing soon got out hand and I wound up with additional ideas that I hope to write more essays about them. See my profile? I tried to send a copy to Hawking, but to no avail. He is kept out of the loop by his guards. BTW, I welcome responses good or bad. Like you, I have a hard time holding on to that concept. I failed in trying to discredit it, so I had to join it. I came upon the question: Why do objects exist in space? I have not found a simple answer yet, but I found that many concepts and theories are not in logical review of known facts, but often they begin from there and soon leap into ideas that cannot ever be confirmed as facts. The theory of space expansion is accepted as fact, e.g., but no one has found why only faraway space is moving away from us. I read awhile back that the reason we contend space is expanding is because if it was so that the galaxies were moving away instead, they would not maintain their relative positions to each other as they continue to do. IOWs, they should all move apart from each other as a function of having began from a single place in time, but not in space. If the U. came out of the BB, it would have been like a rocket exploding in air – where its pieces will move out omni-directionally as part of the expanding U, like the surface of a balloon. But why then aren’t nearby galaxies doing that? The idea of space expansion then, seems to explain why the far galaxies are moving outward from us, but we must have an explanation for my question above to avoid the silly notion that we are the center of the U.
I did read one good explanation I am still mulling over: In the rising bread dough analogy, as the loaf rises (expands), the dough (space) increases in size faster near the edges and thus objects near the edges must move faster away from our location far away from those galaxies. That might mean then that we are closer to the center of the U. If you or someone else found some better explanation, I will appreciate hearing about it. One final objection I have is that if space is comprised of antiparticles, how could it have come out of the BB? We presume the BB was due to the release of great energy. If so the -masses of space would have been instantly converted into electrons (matter). Matter did not appear until almost 300k afterward. I contend in my essays that space could not have come out of the BB. Next PostNext Did You Know Soviet Cosmonauts Carried a Bear-Killing Shotgun into Space?